Cape Town is a place I have been wanting to visit for years. I’ve read Cape Town as being described as a cross between San Fransisco and Sydney, and a few long-term travellers I know have called it their favourite city in the world. With such endorsements I was curious to see what it is like, especially as a base for being a digital nomad. As with my other “Notes on…” posts, this is a collection of thoughts and observations on my time in the city rather than a travel guide. 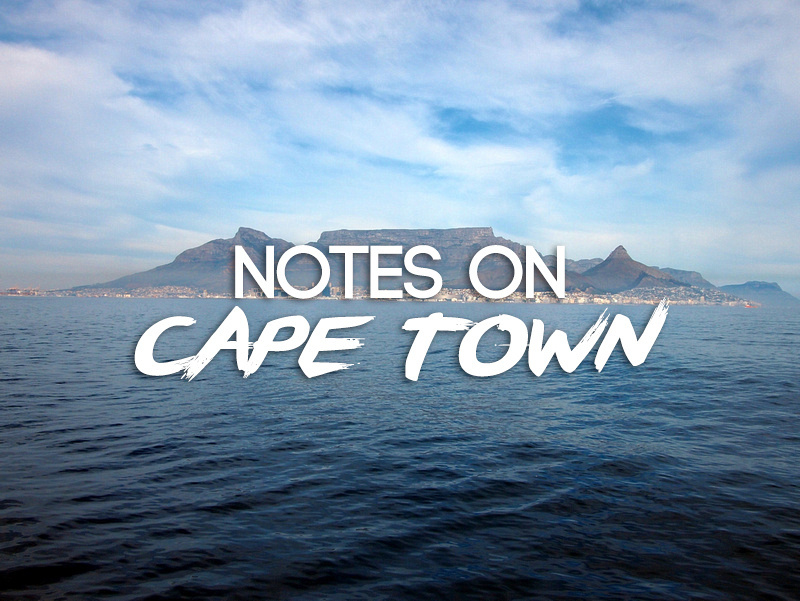 For travel information and things to do I keep a list of resources on the Cape Town travel guide page. 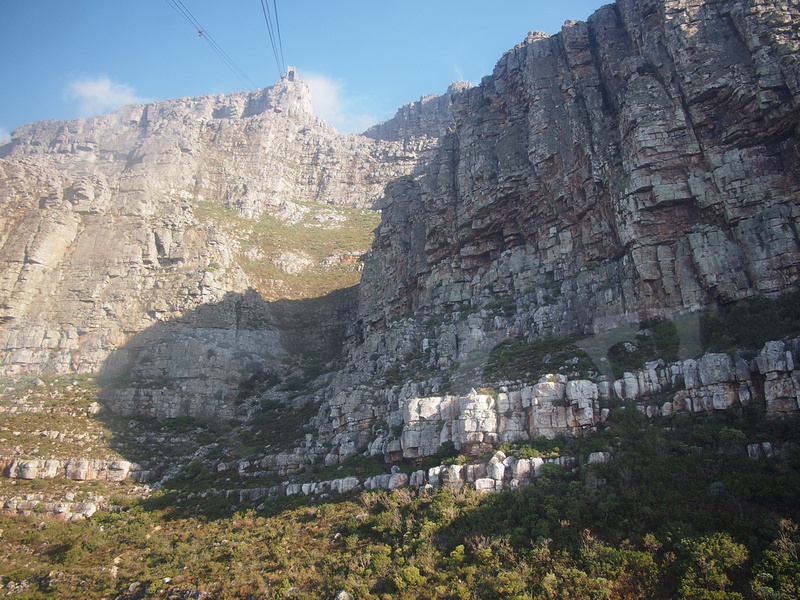 Table Mountain is synonymous with Cape Town and part of its identity. I knew it was a prominent feature of the city but it is hard to appreciate until you see it in person. The city is built at the base of the mountain, and sometimes it feels like it is towering above it. You turn a corner of a street, and there it is. I got a brief glimpse of the mountain when I arrived, then it soon disappeared behind thick cloud and I didn’t see it for another day. 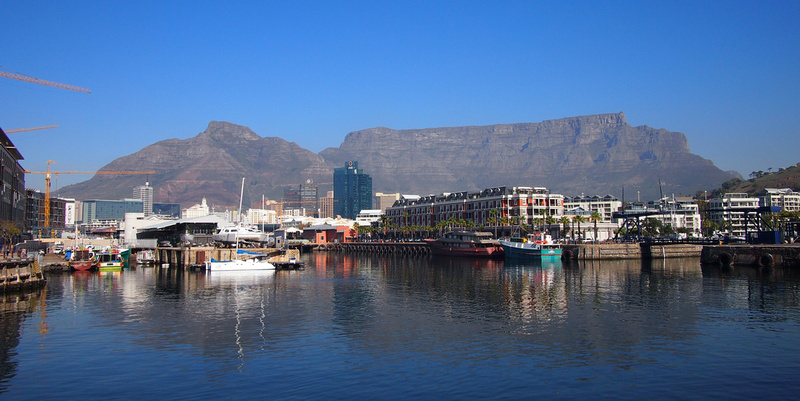 On my first full day I went to the V&A waterfront to get a view of the mountain behind the old docks. 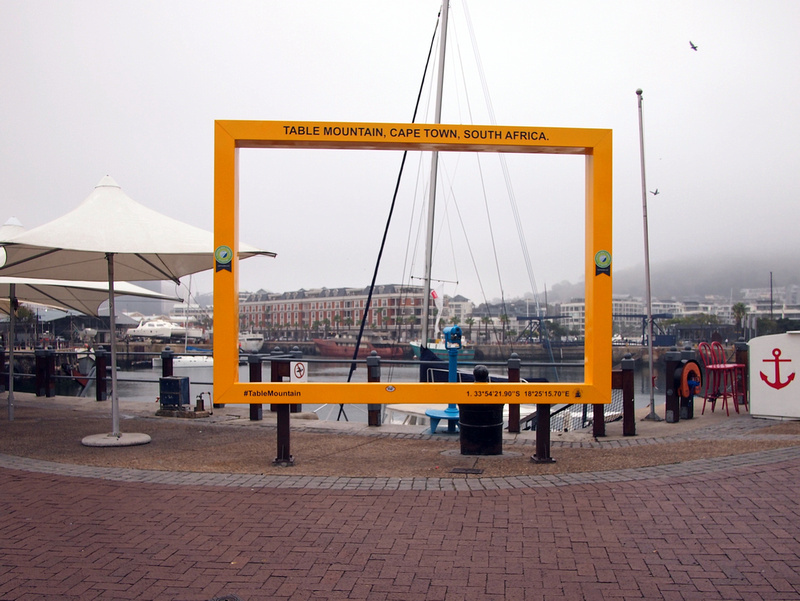 This was the picture I had in my mind of Cape Town so it seemed like an appropriate place to start exploring the city. I arrived at the waterfront but there was no mountain in sight. If it was not for this frame I wouldn’t have known where it was hiding. The clouds eventually cleared to reveal one of the greatest city backdrops that you will see anywhere. 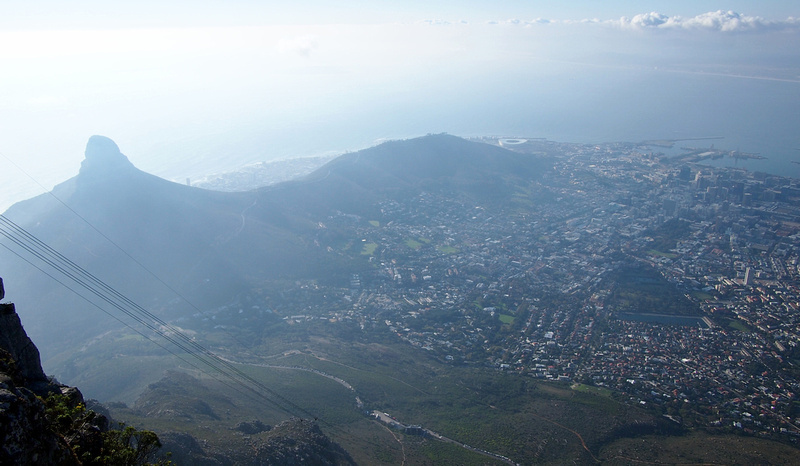 No trip to Cape Town is complete without a trip to the top of the mountain. There is a trail for hiking, or you can take the cable car. Don’t bother going if it’s a cloudy day because you won’t see anything. When I went up there was some cloud about but when it clears you get the best view of the city. While walking around the city on my first day I couldn’t help but think that it felt like Sydney (or a big Australian city) in the eighties. My South African friends, I don’t mean that as a put-down so put the pitchforks down and hear me out! The Central Business District (Downtown) is a low-rise city with the tallest building (the Portside Tower) measuring 139 metres. Instead of the CBD being filled with glass box towers there is a good collection of old buildings from the colonial days. I love the old commercial buildings that can be found throughout the city. It reminds me of Australia before it was taken over chain stores, with old department stores and brands you’ve never heard of. 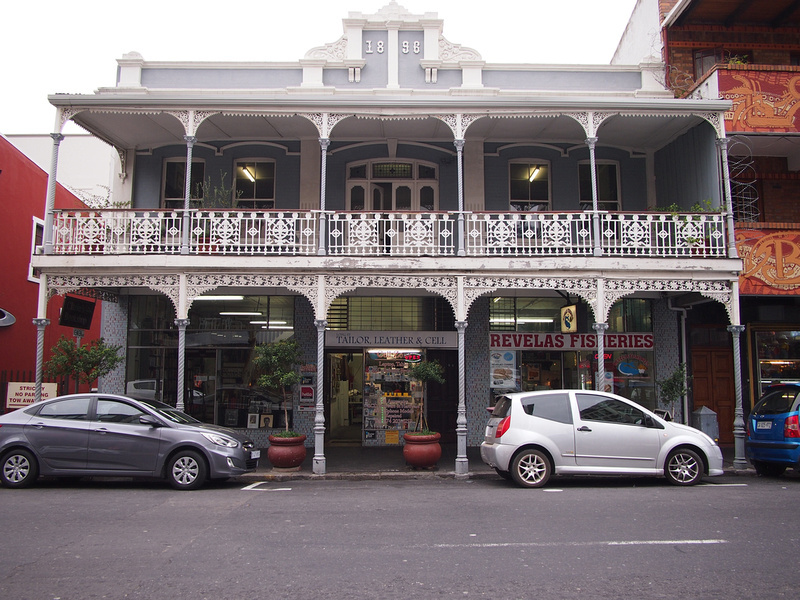 And plenty of Victorian-era shops on Long Street. With the shared British colonial heritage, rugby and cricket culture, and great fresh food, there is a lot of cultural similarities to Australia. The prices didn’t remind me of Australia though – it’s a third of the price for eating out here compared to Australia. If there is one thing that can make me home sick it’s the site of eucalyptus trees, which Cape Town has many planted randomly around the city. 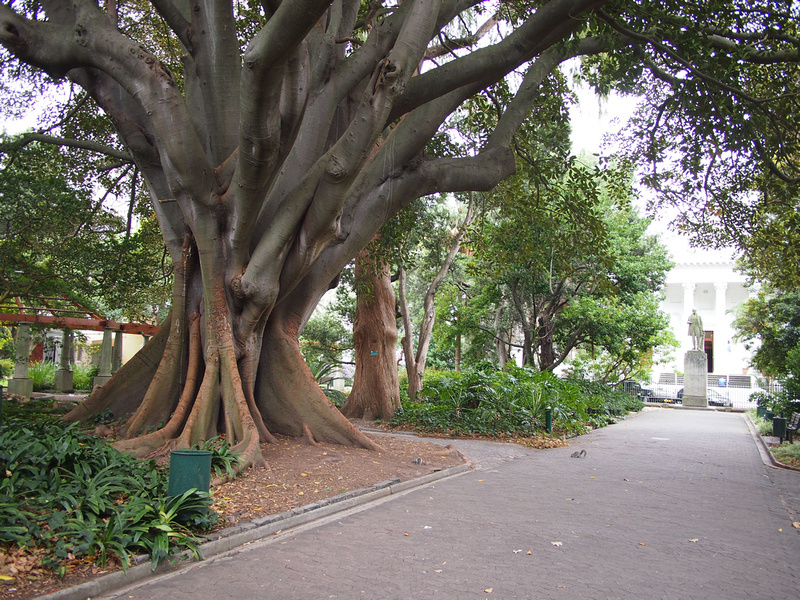 Also Sydney-like is the seaside suburb of Sea Point. If it wasn’t for the mountain of Lion’s Head poking its head up in the background these apartments could pass for being in Sydney. 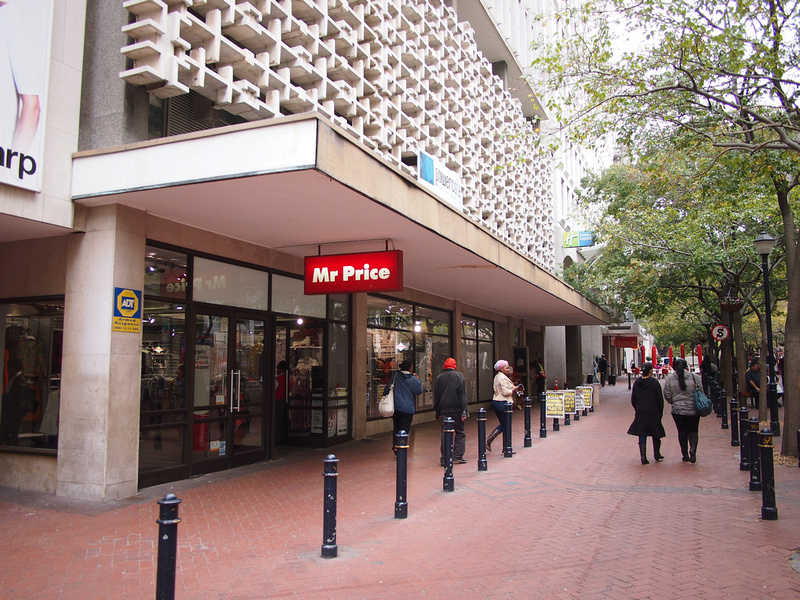 So structurally Cape Town resembles eighties Australia, but Cape Town might just be at this sweet point in history where it has all the modern trappings of an international cosmopolitan city without being swamped by the big chains. McDonalds and KFC are here, of course, but at the time of my visit Starbucks had not yet arrived in Cape Town. I thought they would have arrived after the World Cup, but they will be in the city later in 2016. With no competition from the big chains the independents have had time to establish themselves. There are a lot cool cafes and restaurants in the CBD, which feels like it’s part of a rebirth of the inner city. During my two week stay I went to a different cafe nearly every day, and the cafe culture here is as good as anywhere I have seen in the world. 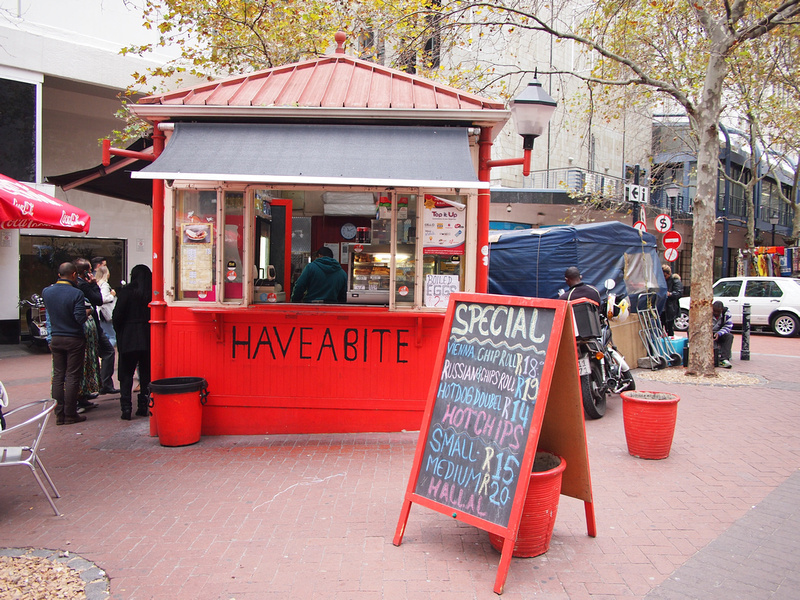 I have a separate post for cafes in Cape Town. 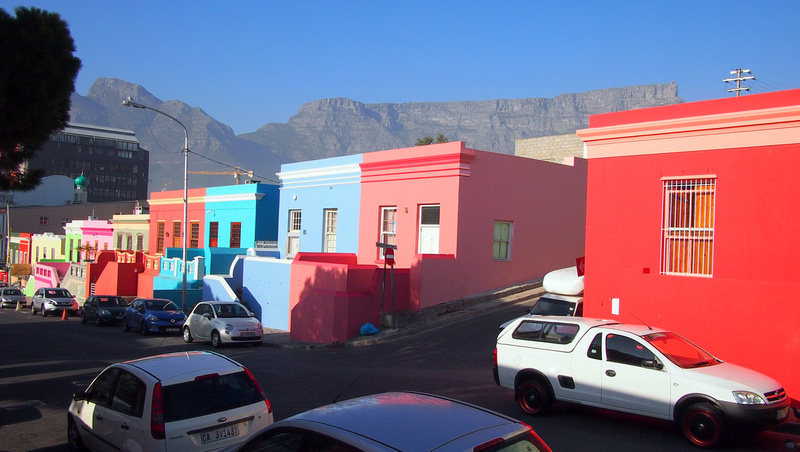 Bo Kaap is a district in central Cape Town that used to be known as the Malay Quarter. The area was home to Cape Malays, who were slaves from the Netherlands East-Indies (now Indonesia) as well as other “non-desirables” (as deemed by the Dutch East India Company) who were sent here from Southeast Asia in exile. 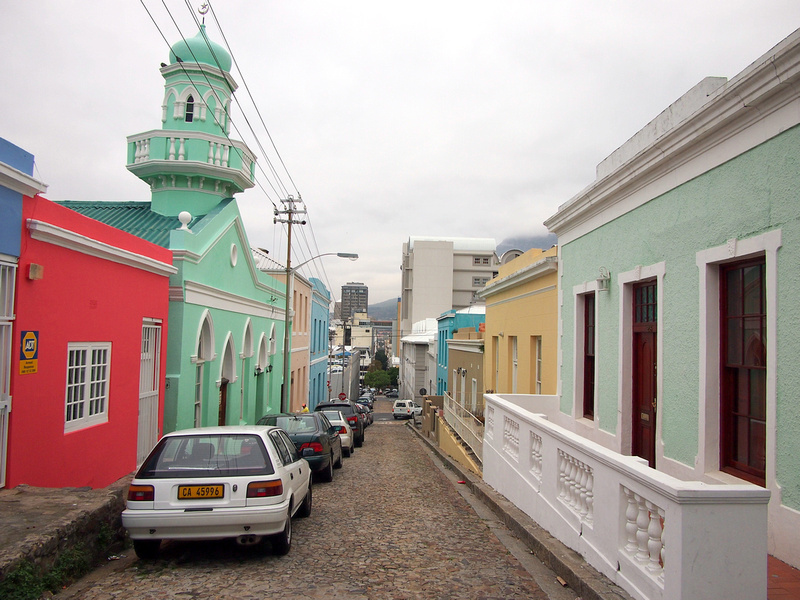 Coming from what is now Indonesia, the Cape Malays brought islam to South Africa, and there are numerous mosques in the area. 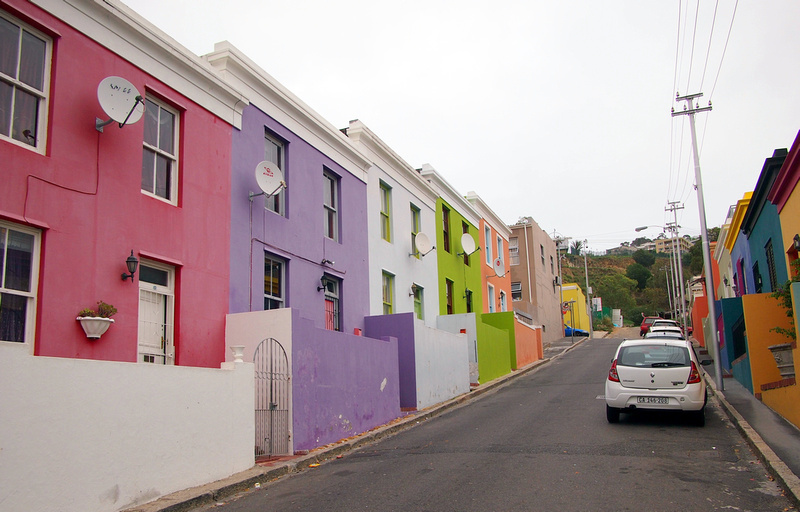 The area is famous for its colourful little houses and cobbled streets. I could tell as soon as I started walking this area that it is not what it once was. 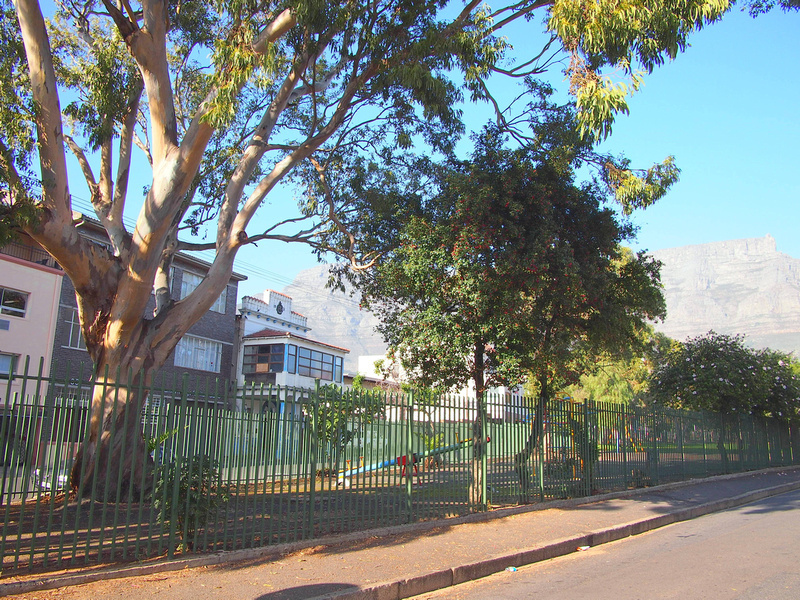 With its prime city location and views of Table Mountain it is well on the way to gentrification. 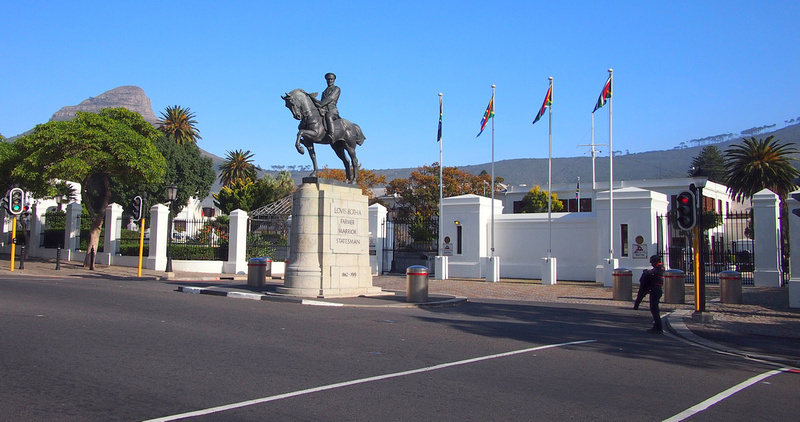 The capital of South Africa is…? “What is the capital of South Africa?” is a pub quiz question I never recall having heard. Before I came to South Africa I had assumed that Johannesburg – being the biggest city and air travel hub – was the capital of South Africa. 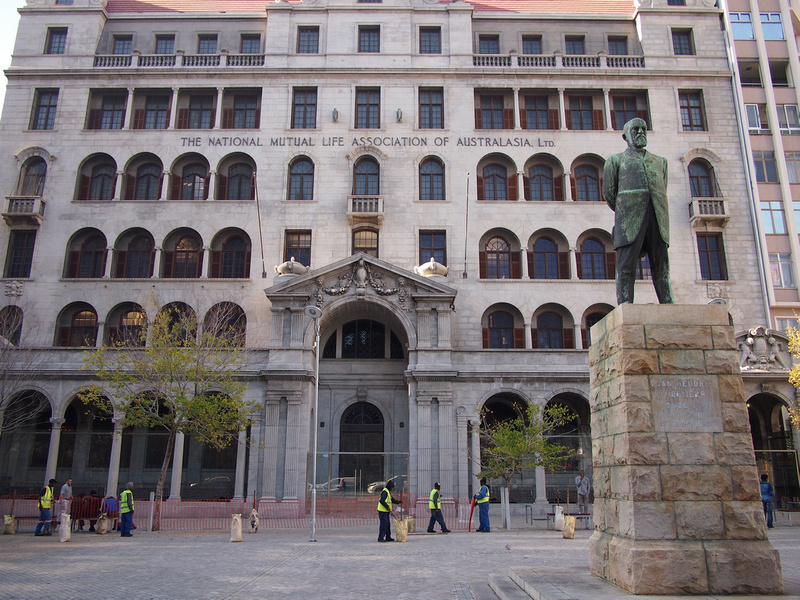 There are in fact three capitals in South Africa; Pretoria (executive), Bloemfontein (judicial), and Cape Town (legislative). One of my favourite places to walk in was the Company’s Garden. The garden was established by the VOC (the Dutch East India Company), which if any company in the history of the world can claim to be the company, it would be them. 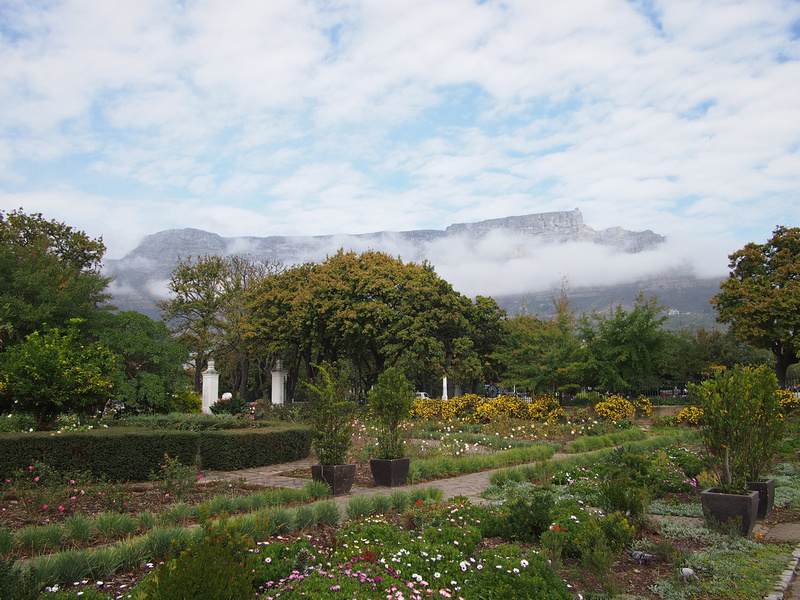 The VOC established the garden as a source of fresh vegetables for ships passing the cape. 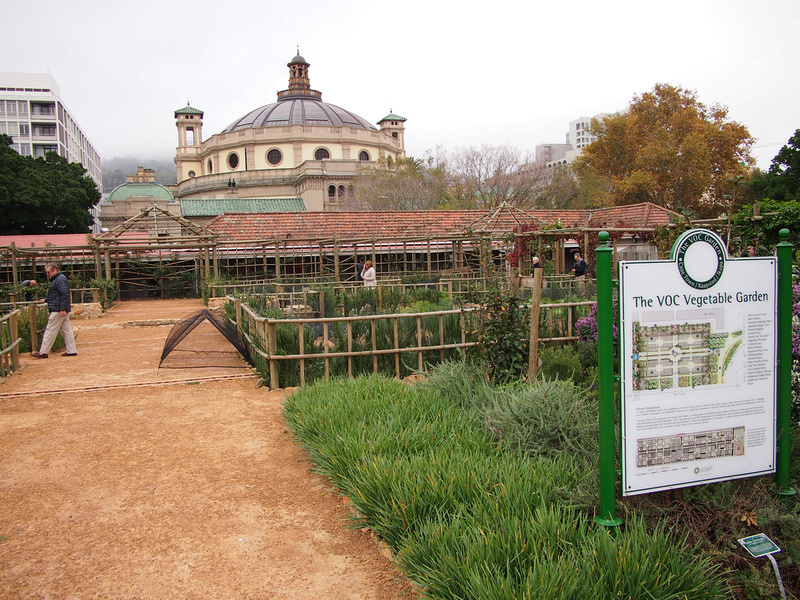 Set in the middle of the CBD, it’s like the Central Park of Cape Town, except it is more botanical garden than park; there are specimens of all kinds of plants and trees here. One sunny day a low cloud quickly crept down from the mountain and engulfed the city. It was such a marvel to watch that I kept walking around to experience this phenomenon. A few hours later a friend randomly emailed me an article about the Amateur Cloud Society, which is an association of cloud lovers. The timing was spooky and is was good to know there are others out there who contemplate clouds. Not that I would apply, because not joining clubs that would have me as a member and all that. 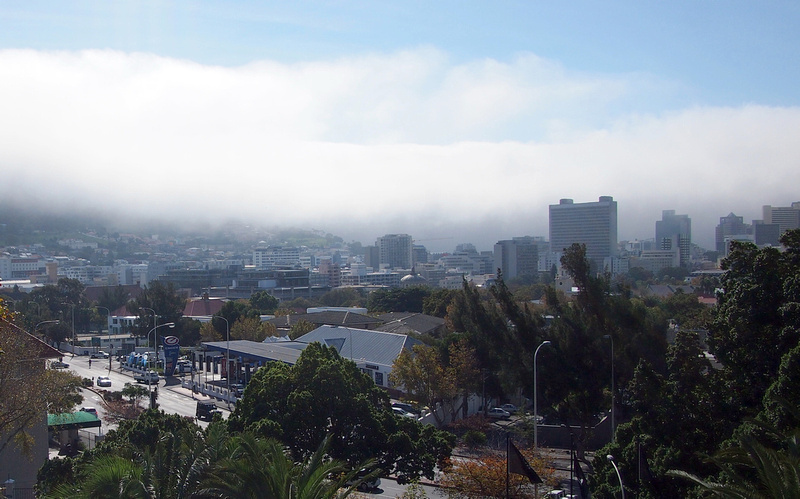 My point being that in Cape Town the clouds, like its natural beauty, are part of what make the city. Some days were clear and sunny and yet there was the layer of cloud stuck on top of the mountain, which is known locally as the table cloth. 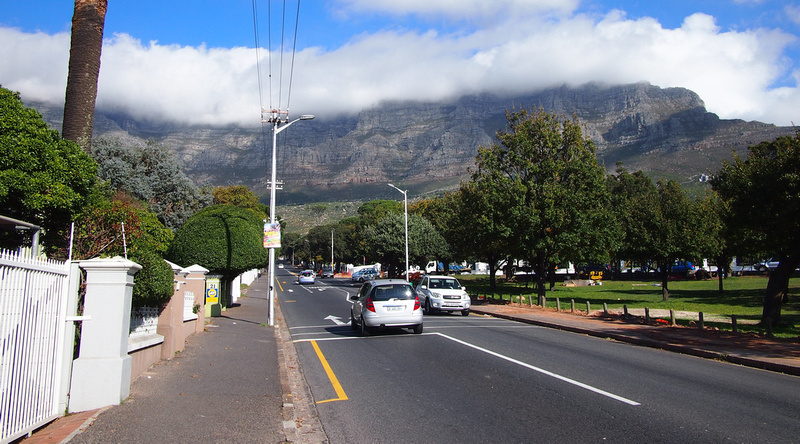 While Cape Town has a commuter train service that travels to nearby towns, there is no metro system. What they do have instead is a decent bus system. 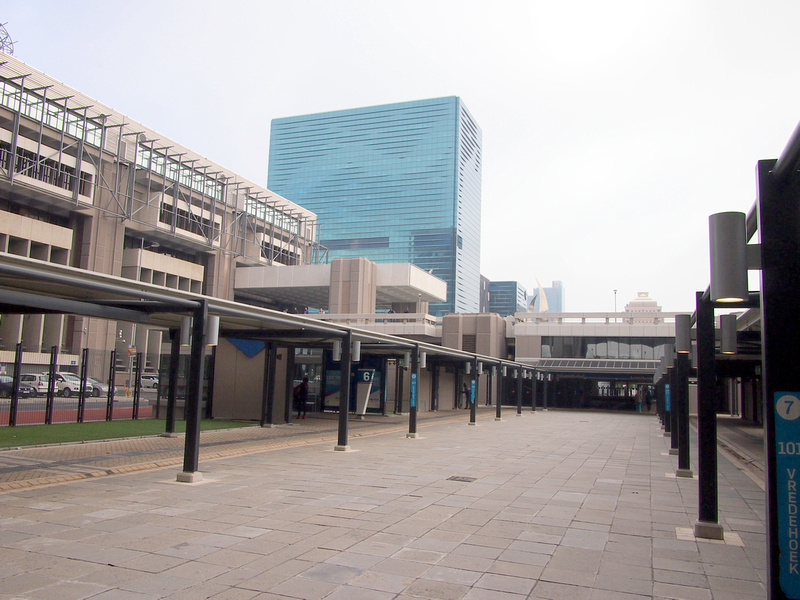 Upon arrival at the airport there is a bus station clearly indicated outside arrivals. The station has a ticket office, so there is no need to look for change for the 100 rand note that the ATM just dispensed. 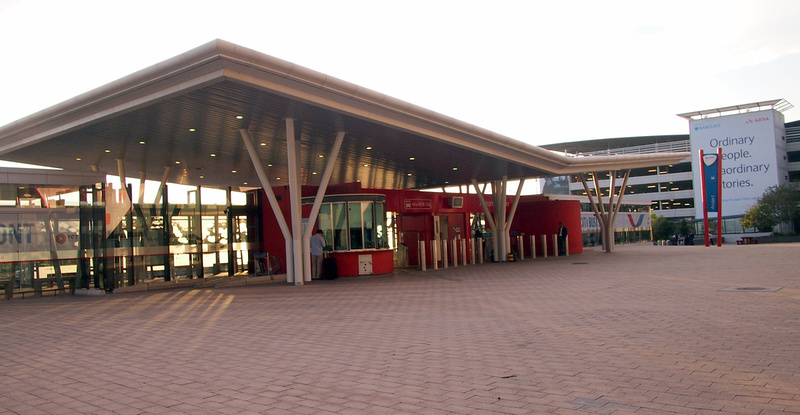 The main “station” is Civic Centre, which is a big interchange that operates like a metro, with barriers to the waiting area and each bus parking in a designated area. What is most impressive about the bus system is the stored-value bus passes. You can buy a single ticket, but a pass with credit offers cheaper tickets. The pass is also a visa debit card so you can put credit on the card and use it anywhere in South Africa that accepts cards. 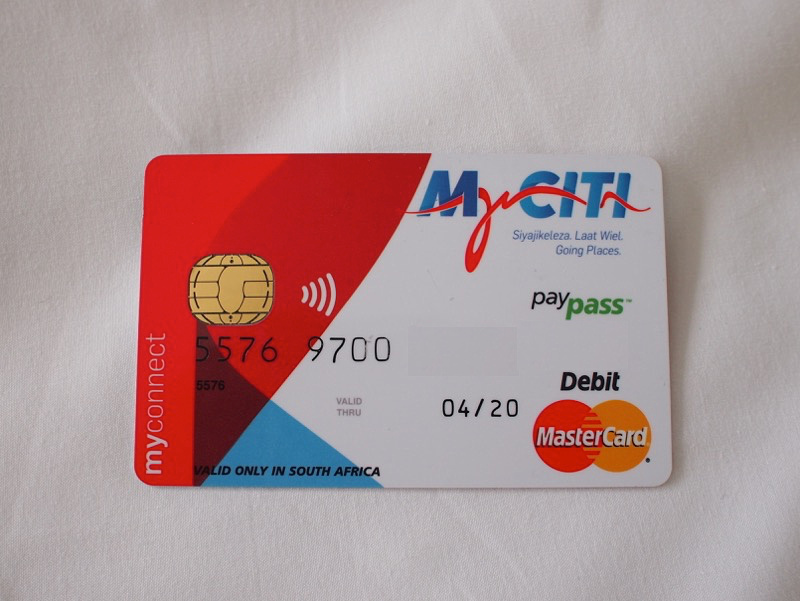 The card costs 35 Rand ($2.30 USD) so it is a cheap alternative to maintaining a debit card at a bank. I split my time between hostels and hotels. 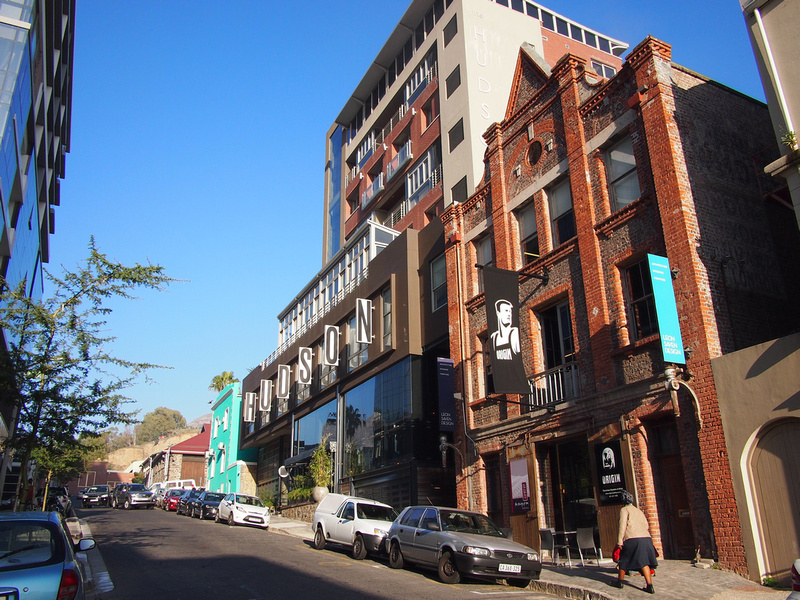 never@home is a hostel in Green Point, across the road from the football stadium and not far from the V&A Waterfront. Here is my review. I was hosted by the Tsogo Sun group at SunSquare and Southern Sun Waterfront. 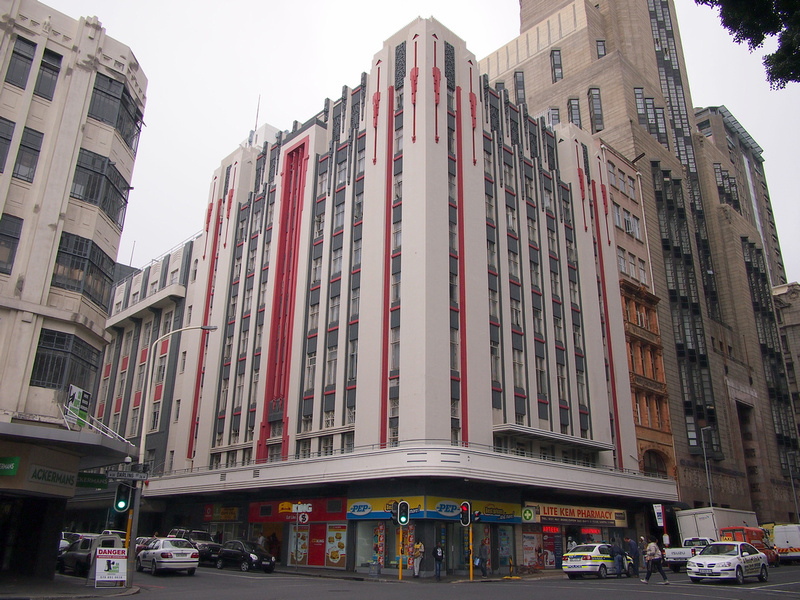 Tsogo Sun are the biggest hotel chain in South Africa and these two hotels were well located in Cape Town. Visiting Robben Island and the Cape Peninsula day tour. If I could only visit one city in South Africa I would have chosen Cape Town, thanks to numerous images of the city’s impressive landscape and beautiful neighborhoods out there. However I have been keeping South Africa aside for a while since there are so many places in Asia I’m recently more focused on… until I saw this post. This post managed to spark my interest of the country again, and coming from Indonesia I would love to learn more about the traces VOC left in South Africa. The weather seems rather unpredictable, it seems.